(Natural News) Chicago Mayor Rahm Emmanuel has just announced his plans to form a task force for instituting city-wide universal basic income. The program would see the city paying a number of Chicago families hundreds of dollars every month, with no strings attached. What could go wrong, in a city already so plagued by debt that they can’t even afford to make pension payments? The pilot program, pushed by Chicago’s North Side Alderman Ameya Pawar, would give 1,000 families a $500 monthly stipend. Emmanuel’s task force will feature a panel that will ultimately decide if universal basic income (UBI) can work in the city. Pawar will be a part of the panel and states that UBI will help Chicago tackle poverty. The city of Chicago has $28 billion in pension debt, as of August 2018. Unless the city has found a way to create money out of thin air, how they will find the funds to just hand out half a million dollars every month remains to be seen. Reports on the city’s pension crisis show just how fiscally unstable the municipality is — but for lefties, it seems that reality is of little consequence when lofty idealism is on the table. UBI may sound like a great idea for progressives paper — but the reality is that the Chicago government already owes a lot of its employees a lot of money. 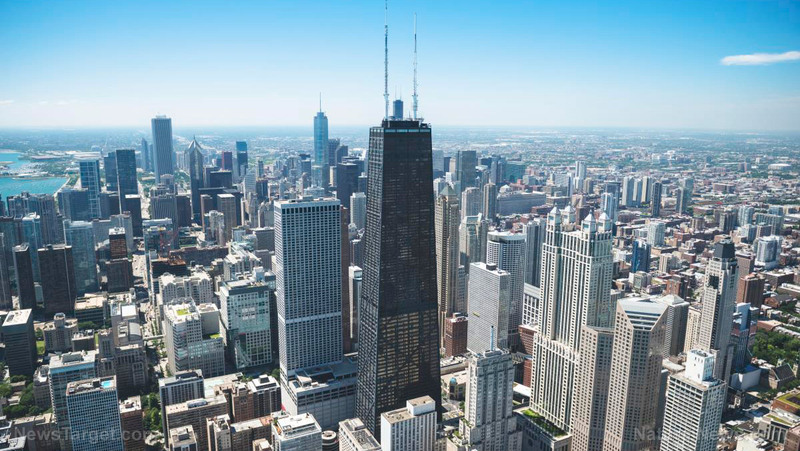 As the Chicago Tribune reports, the city has been short-changing multiple pension funds for years and is only now trying to “catch up.” Mayor Emmanuel has floated the idea of borrowing the billions needed to revive the city’s pension funds. “The idea is to issue bonds at relatively low interest rates and use the money to reduce the city’s $28 billion in pension debt. The pension funds would invest the bond proceeds and ideally earn returns that outpace the interest the city would have to pay on the bond debt,” the Tribune explains. Detractors have warned that investing borrowed money could set the city up to face even bigger problems. And it’s not just the city of Chicago that’s facing fiscal peril; the entire state of Illinois is battling major deficits. Politicians like Pawar, the man behind the resolution to implement UBI in the Windy City, fail to see that poverty and unemployment are symptoms of a much bigger problem. Failing to address the city’s economic woes, and trying to fund a program that the city clearly cannot afford, will ultimately make the living conditions in Chicago worse — not better. The idea that the government can simply just “give” people more money is erroneous. While it’s not stated directly, taxes are ultimately what will fund UBI — but not everyone pays taxes. The people who do pay taxes are ultimately the ones paying for the government’s experiment with UBI. What does the government plan to do when there simply aren’t enough tax dollars to pay for it? UBI is really just a clever disguise for the redistribution of wealth: Everyone gets paid the same amount every month, but not everyone’s monthly contribution to UBI is going to be “the same.” Proponents of big government love to flaunt terms like “income inequality” and pat themselves on the back for “thinking of the people” but the truth is that UBI will serve only to make their constituents more dependent on the government — and dependent voters are reliable voters. UBI is a covert power grab, intended to help secure Left-wing power in a major city that’s long overdue for a political overhaul. Democrat policies have driven the city of Chicago into utter financial oblivion; Mayor Emmanuel and his cohorts are trying to enact a last-ditch effort to placate their constituents by simply handing out “free” money. See more stories about collapsing pension systems at Pensions.news.